Guy LeMonnier (pronounced Leu-Mo-Naye) is originally from Michigan. He started acting his sophomore year in high school. After high school he went to community college for two years where he studied acting, music and voice. 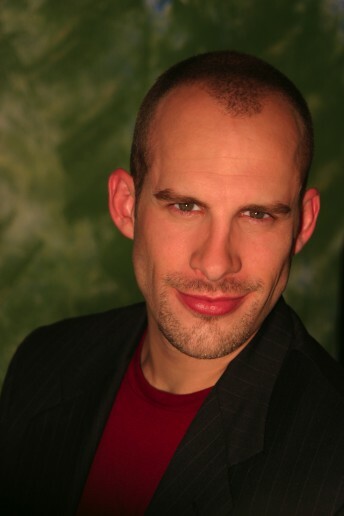 Guy performed in the off-Broadway show The Prince and The Pauper as Miles Hendon. He has been seen around the country performing in Beauty and The Beast (Gaston, The Barn Theatre), The Scarlet Pimpernel (Chauvelin, Virginia Musical Theatre), The Spitfire Grill (Caleb, Human Race Theatre), Ragtime (Father, California Music Circus), Dracula the Musical (La Jolla Playhouse), Chess In Concert (Molokov, Helen Hayes Theatre Co.). From October 2000 to May 2001 he toured with Jekyll & Hyde where he performed the title role of Dr. Jekyll & Mr. Hyde. He has performed and toured professionally with the Trans-Siberian Orchestra in Christmas Eve & Other Stories. He can be heard on the Trans-Siberian Orchestra - Beethoven's Last Night CD. He has also performed in several commercials, voice-overs and independent films. He would like to thank his family and friends for the most unconditional of love and inspiration, and God for providing a continually glorious life experience.